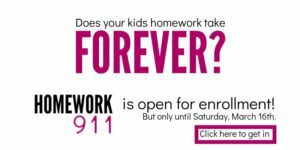 Want to get homework organization under control this year? All you need is this simple box! My daughter walks in the door from school, sets down her backpack, takes out her homework. Except… all of a sudden, her pencil breaks. And while I’ve purchased an entire pack of those Ticonderoga yellow pencils, now… they are nowhere to be found. There’s no pencil is the kitchen drawer. Nary a pencil in the backpack. None in the cup on the counter. To top it off, our electric pencil sharpener suddenly decided to stop working. As we jam the pencil in, the sharpener responds with a soft whir, whir. What was once a good homework vibe comes to a crashing halt. My daughter starts pacing back and forth on our white tile floor. 10 minutes later, I finally dig a sharpened pencil out of my glove compartment. What should have been a 20-minute homework assignment turns into 45 minutes all because of ONE pencil. First, before you go any further…. there is a lot of homework struggle that we as parents want to conquer. I’ve complied all my best tips in this free e-book. Grab it right now and it will be waiting in your inbox when you finish. There are moments where even your best intentions go flat. I planned ahead. I got a pack of pencils. But at that moment, we mysteriously ran out. OK, if I’m honest, it wasn’t so mysterious. I know I reached in to grab a pencil when I needed it and didn’t put it back. My kids probably did as well. When I was a classroom teacher, I quickly discovered that if I didn’t have a procedure for every single action that took place in a classroom, my 30 students would soon erupt in chaos. Kids knew what to do when their pencil broke or if they forgot it at home. I’m not saying that you go quite into this level of detail in your own home, but when it comes to homework, it helps to have a sacred place for homework supplies. And by sacred, I mean that they are not touched, tampered with or even looked at unless it’s homework time. You need a homework box. Before we go over what’s in the box, first…the rules. If the term rules is a little too harsh, you can call them procedures. Because we can pack a box with supplies and hand them to our kid but what happens when all the supplies miraculously disappear a week later? I know – because I’ve done it. I wasted countless classroom dollars as a 5th grade teacher because I had no procedure for supplies. When it came time for my own kids to start school, I knew that we needed a process. The homework box is only used for homework. Not for random art projects, a new house for Disney Princesses or a place to store LEGOs. Only homework. I keep the box outside of homework time. 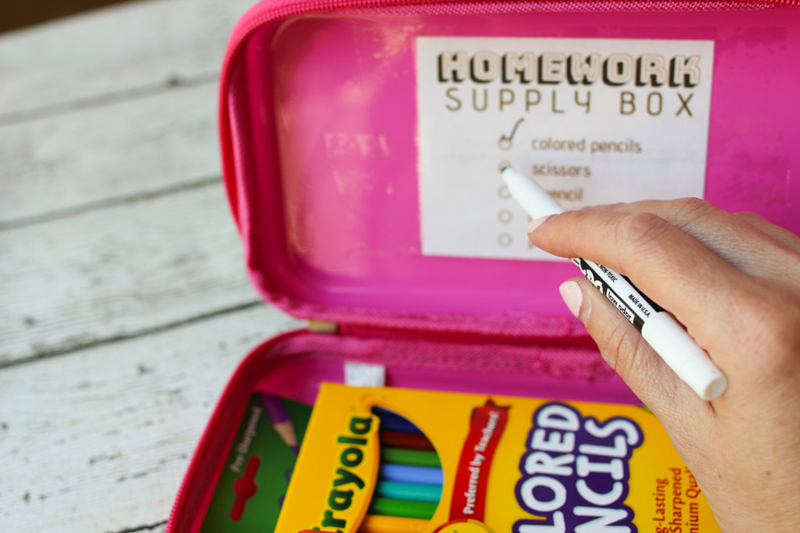 Inside the lid is a checklist of all the supplies contained in the homework box. At the end of each homework session, my child is responsible for making sure that every supply comes back to box. I affix the list with packing tape so that they can use a dry erase marker to take inventory before handing it back to me. PSSST… FIND THAT CHECKLIST IN THE BACK OF MY HOMEWORK GUIDE HERE. It may seem crazy checking the supplies in the homework box each day. But it’s not forever. If we checked to ensure our kids had all of their supplies everyday for eternity they would never learn personal responsibility nor experience the failure of losing a key item. 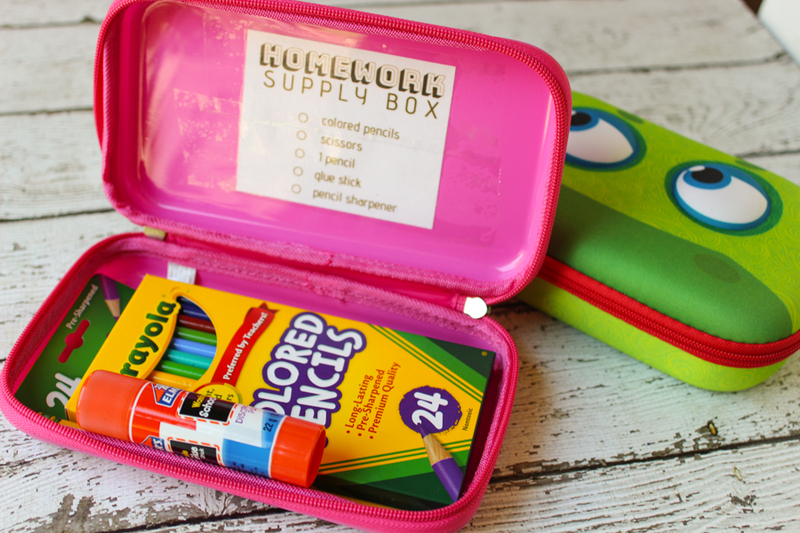 Rather, with the homework box, we are teaching our kids a homework organization habit that they can use for the rest of their lives. The first week of school, yes, you will be checking the homework box every day. Depending on your child you may be checking it up to 6 weeks. But once you see that they are returning all supplies to the box and checking each off the list, you can release a little control. Tell your child that now she seems pretty responsible with her supplies, so you’ll only be checking the box once or twice a week. Bonus: make it a surprise check so you can be sure the homework supply organization habit is in place. Homework Organization done… now how to motivate my kids to do it? Sure, you may think, this solves only a fraction of my problem. Does the real struggle start after all the supplies have been brought out? And fighting to do just one page of math problems? You need these quick homework motivating tips that will stop the power struggle. 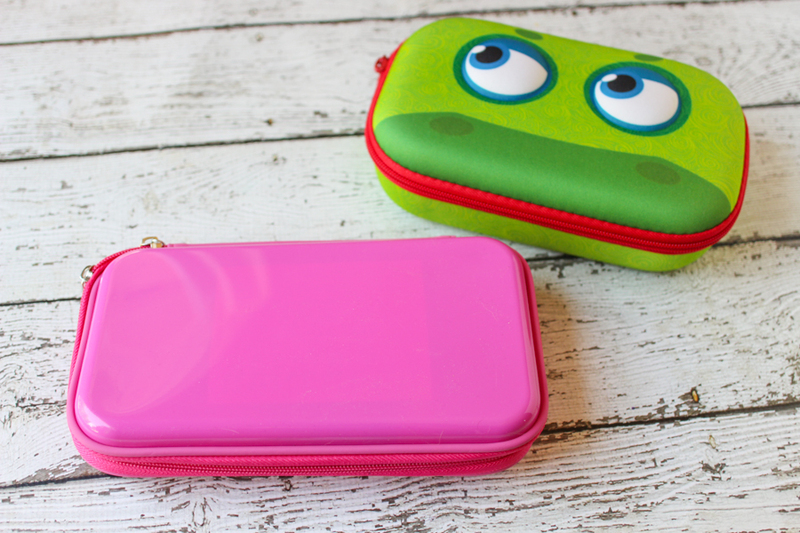 These will make homework a self- driven experience where your kids stop fighting you and start doing it on their own. You can make back-to-school and doing homework a less stressful experience by having the right supplies, creating a procedure for keeping track of those supplies and having those ninja motivation tricks up your sleeve.